Do not worry about your life, what you will eat or drink; or about your body, what you will wear...Who of you by worrying can add a single hour to his life? -Matthew 6: 25, 27.Jesus gives us a clear command about worry: Don't do it. Yet worry is a highly contagious disease in many lives. It can seem unstoppable. But there is a cure: being thankful. 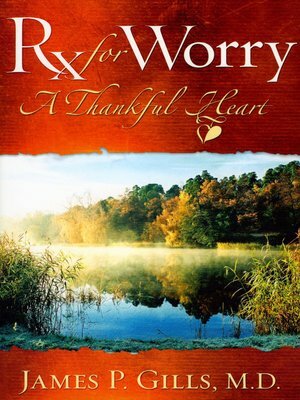 Many people think of worry as worrying about the future, and thankfulness as being thankful for the past. This book joins the two together. Help against worry is found in being thankful for our present relationship with God and being thankful that He is in control of the future.